Best Things to do in Tokyo Japan – Tokyo – as the capital of Japan and the world’s most populous metropolis, this megacity with the beating heart of almost 40 million people, lives and breathes but never sleeps. From soaring steel-and-glass-clad skyscrapers to hidden shrines from the old days sandwiched snuggly between buildings, Tokyo is a one-of-a-kind city where old tradition and the ever-changing future coexist in perfect harmony. Walking through Tokyo is like walking through a giant movie set as discoveries at every turn will leave you in awe as you gawk at its neon-lit cityscape, completely foreign yet somehow familiar. See if you can spot Godzilla lurking above the buildings in modern Shinjuku, wake up early in the morning and sample the freshest fish at Tsukiji Market or try your luck at o-mikuji (fortune) at Sensoji temple in historical Asakusa, Tokyo’s offerings are endless. With a seemingly limitless array of choices, we have compiled a list of fun and interesting things to do in Tokyo. Grab your passport and your camera and join us as we guide you through the fun side of this amazing megacity. In the middle of Tokyo, next to Tokyo Station, you’ll find Tokyo Imperial Palace which is the private residence of Japan’s Imperial Family. The palace is built on the site of the original Edo Castle which was the largest fort in the world in its heyday. Unfortunately little remains of Edo Castle today apart from the moat and the massive stone walls surrounding the palace. In its place, the Imperial Palace was completed in 1888, though destroyed during World War II, it was rebuilt afterwards. Although most of the grounds are off limit to the public, guided tours are offered allowing you closer to the palace and offering glimpses of the inner areas. 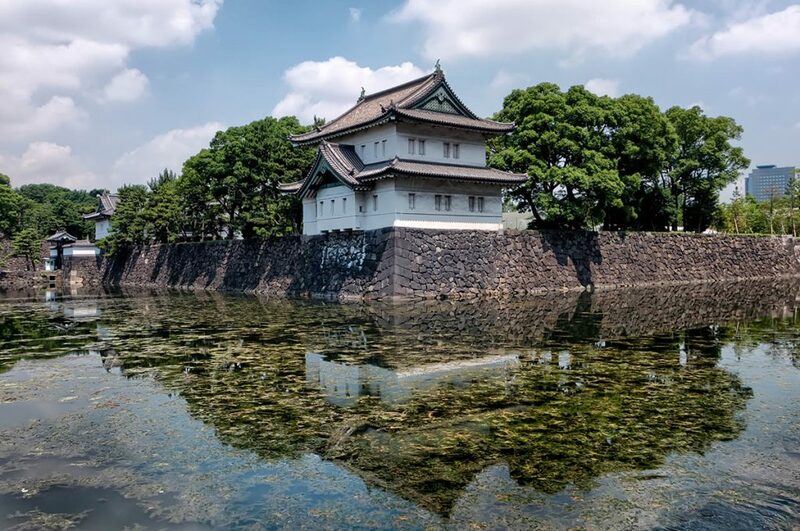 Next to the Imperial Palace are the Imperial East Gardens, beautifully maintained gardens with seasonal flowers and trees worth the visit. Admission: guided tours are free although reservation is needed, apply here. 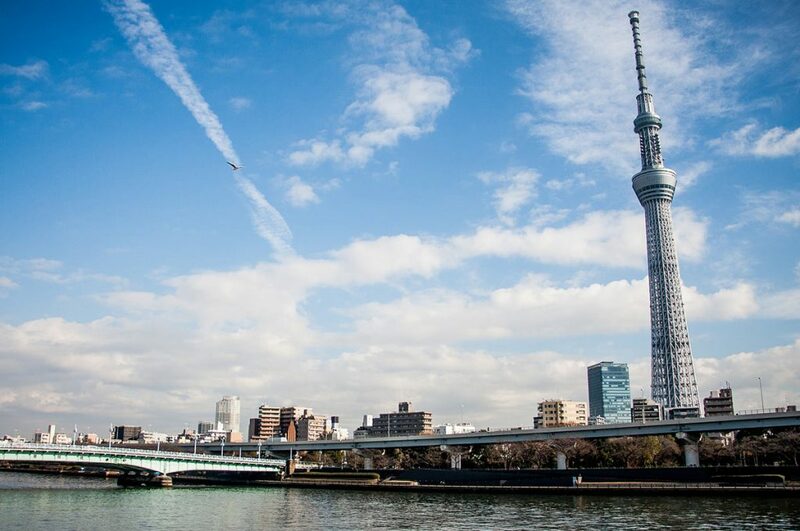 Becoming the new symbol of Tokyo, the Tokyo Skytree with its dizzying height of 634 meters is the tallest tower in Japan and second tallest structure on the world. Built as a modern television and radio broadcasting site, the Tokyo Skytree can be seen shining like a beacon from all around Tokyo with its pulsating glow visible especially at night. Two observatory decks offer spectacular views of the city and are open year round. The lower observatory, the Tembo Deck, at 350 meters spans three floors and the upper observatory, the Tembo Gallery, at 450 meters offer on clear days views of up to 100 km away. You can even see Mount Fuji if you’re lucky! At the base of Tokyo Skytree lies Tokyo Solamachi, a huge shopping and entertainment complex complete with restaurants, aquarium and planetarium. A collaboration between digital art collective teamLab and the MORI Building, the MORI Building Digital Art Museum is a newly opened art museum featuring immersive digital art installations created by teamLab. Using cutting edge technology visitors are able to interact and engage with the mesmerizing digital exhibitions drawing you into a world of fantastic colors, patterns and visuals. 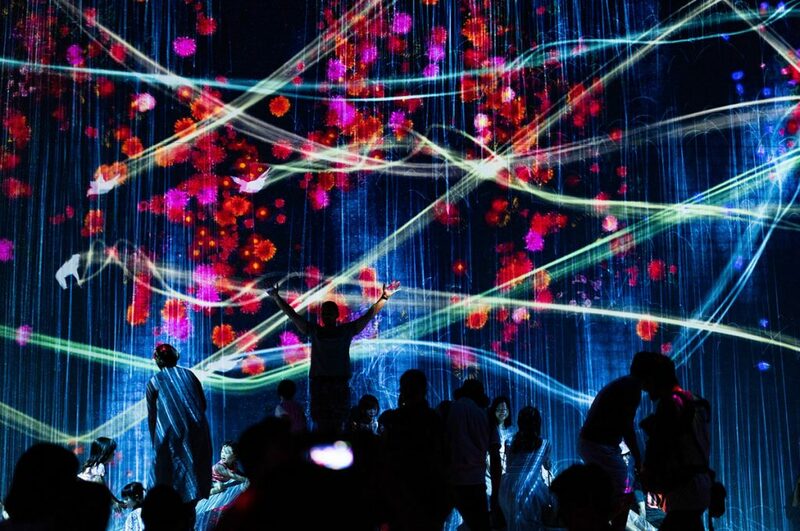 Located in a space of 10,000 square meters in Odaiba, this is teamLab’s first permanent exhibition. It is advised to book your tickets in advance as they are sold out very quickly. Located in the historical neighborhood of Asakusa, Sensoji Temple is one of the most biggest and most visited temples in Tokyo devoted to the Buddhist goddess of Mercy, Kannon. 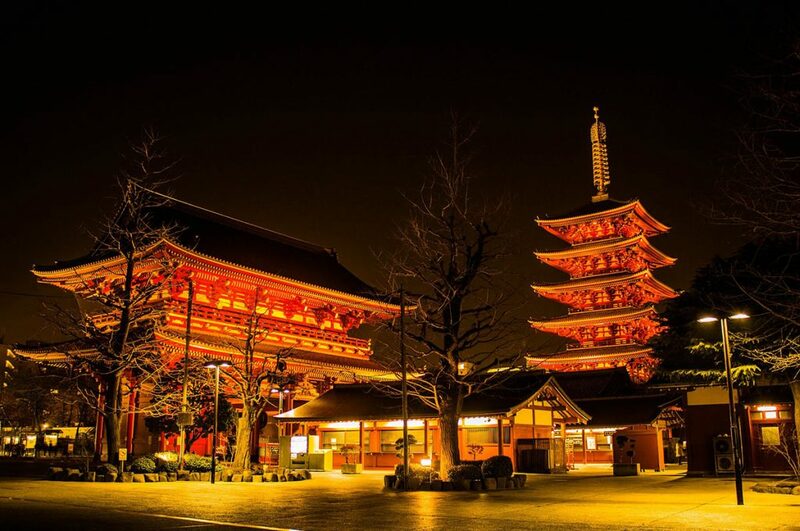 Built in the year 628, Sensoji Temple is the also the oldest temple in Tokyo. Getting to the temple is a fun experience on itself. You start at the iconic Kaminarimon, meaning Thunder Gate, marked by a giant red lantern hanging from the entrance gate. Leading up to the second gate is Nakamise Dori, a busy stretch of shops selling traditional souvenirs, local snacks, crafts and trinkets. After entering the second gate, the Hozomon Gate, you’ve reached the Sensoji Temple grounds. Pay your respects to the Goddess of Mercy Kannon, offer some incense to burn at the burner in front of the temple or buy an o-mamori amulet to keep you safe. There is lot’s to do in and around Sensoji Temple. A mecca for anime and manga otaku’s, Akihabara is famous for its many shops catering to the otaku culture as well as its countless electronics shops. With huge advertisement signs plastered all over the buildings, cute girls dressed as maids calling out to you, the sweet smell of freshly made taiyaki (fish-shaped waffle with red bean filling) wafting by, Akihabara is as alluring as it is hectic. Quirky finds are tucked away in maze-like department buildings filled with shops selling anything from trading cards, vintage video games to adult-themed anime goods. Don’t forget to visit Yodobashi Camera, a massive electronic department store covering a whole block. How about sipping away an exotic beverage at the Square-Enix cafe or geek out at the AKB48 Cafe. Fancy cats or owls? Visit one of the many themed animal cafes scattered all over the area. 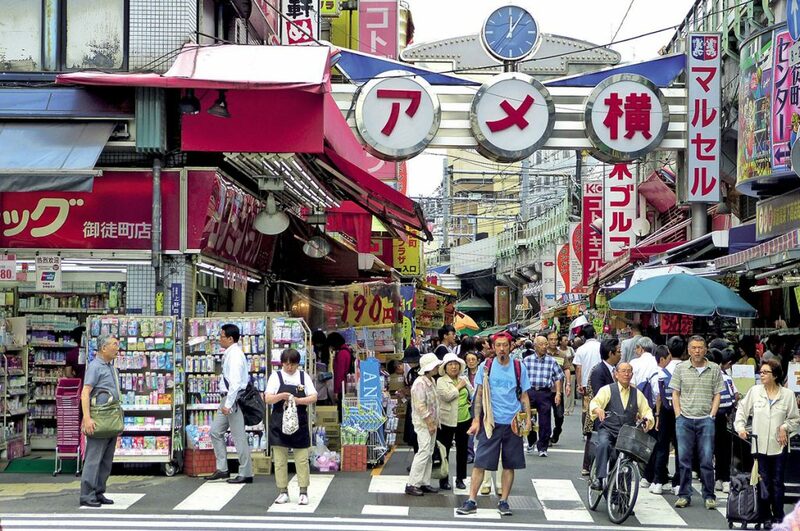 As one of the most unique neighborhoods in Tokyo, Akihabara will appeal to otaku’s and the casual visitor alike. 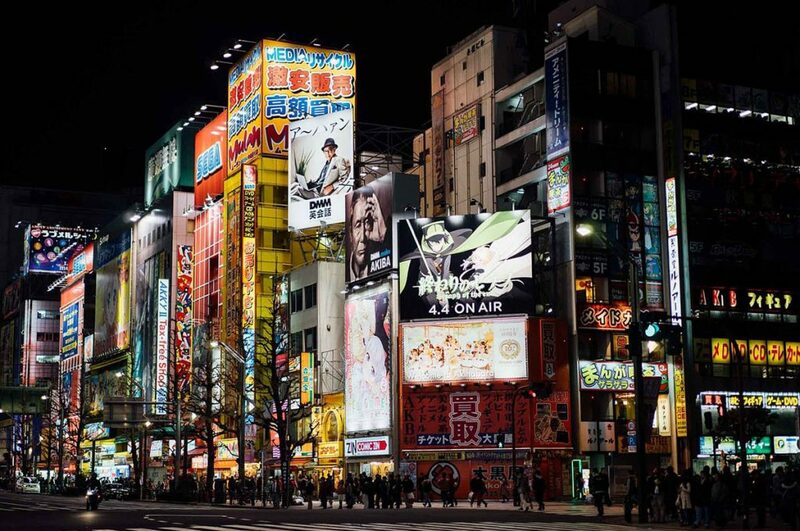 If you want to discover more about the Electric Town, check out our Akihabara article. Inarguably the most famous pedestrian crossing in the world, the Shibuya Scramble Crossing is located outside of the Hachiko Exit of Shibuya Station. Before you make your way to the intersection, visit the statue of the most famous dog in Japan, Hachiko, the loyal Akita Inu dog who would wait for his master to return every afternoon at Shibuya Station. Even after the death of his master, Hachiko continued to wait at the right time at the station to meet his master. Head over to the intersection and watch in awe as traffic comes to a halt at every side allowing people to cross the intersection from all four directions. It is said that over a thousand people will cross at the same time during peak times. For a good view over the crossing, go to the Starbucks on the 2nd floor of the Q-Front building and just watch as people cross the intersection while sipping your coffee! 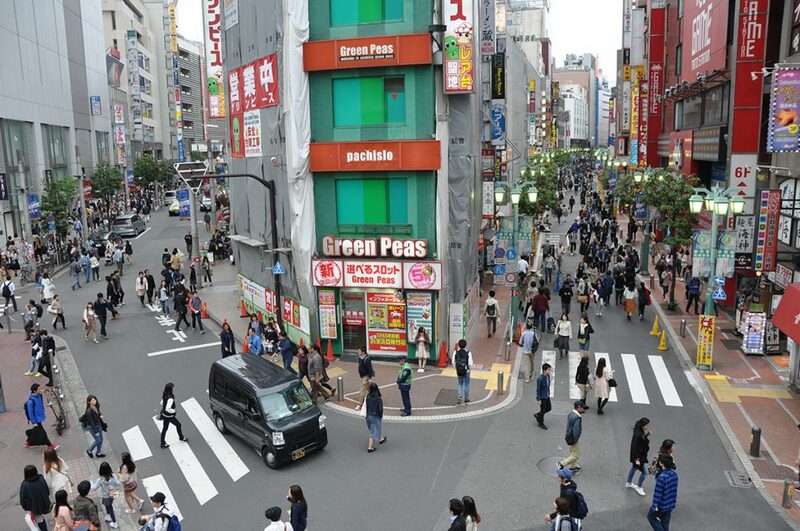 If you are heading there, take a look at the best spots for shopping in Shibuya. 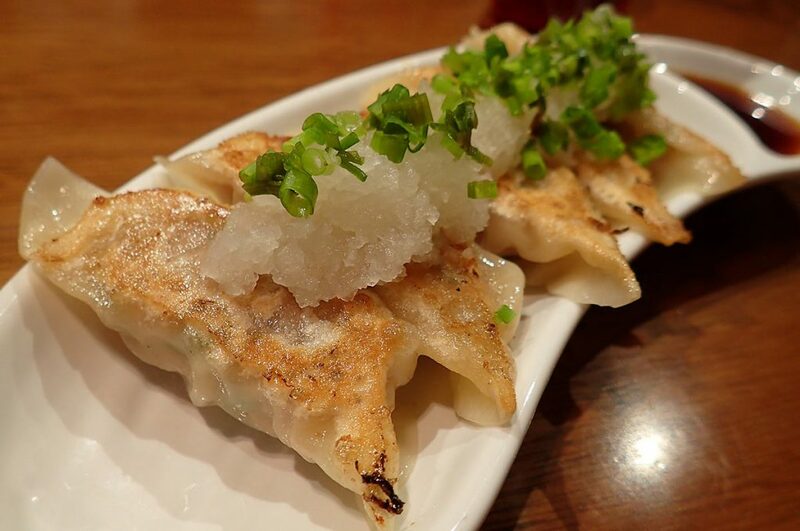 Always wanted to learn how to make perfect gyoza or cook a delicious bowl of ramen? What better way to learn how to cook Japanese food it while in Tokyo, Japan! Wasabi Cooking Class is a cooking school run by renowned Chef Hirotake. With over 40 years of experience Chef Hirotake teaches how to cook Japanese food, also known as Washoku. In his class, you will not only learn how to create many popular Japanese dishes yourself but also get a better understanding of Japanese culture through food and learn tips and tricks along the way to elevate your skills as a cook to the next level. Why wait, sign up for a Japanese cooking class today! Ryogoku, also known as Sumo Town, is located in front of Ryogoku Station and is an area designated to sumo wrestling, the national sport of Japan. In this area you’ll find many sumo stables, chanko (a hot pot dish that is a staple of sumo wrestlers) restaurants and the famous sumo stadium Kokugikan. 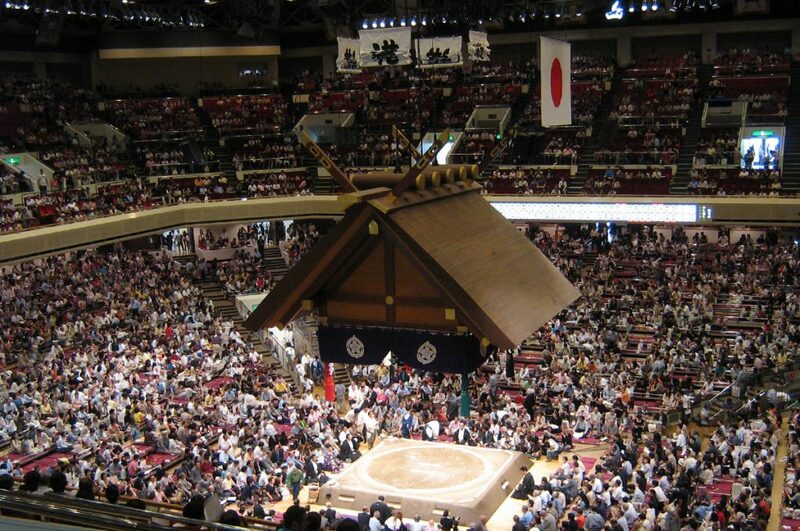 Sumo tournaments lasting 15 days each are held in January, May and September at the Kokugikan Sumo Stadium which can seat over 10,000 visitors. Tickets for matches are wildly popular and should be bought in advance. In the early morning hours it’s possible to view a sumo practice even when there are no matches. An appointment by phone is required to attend. 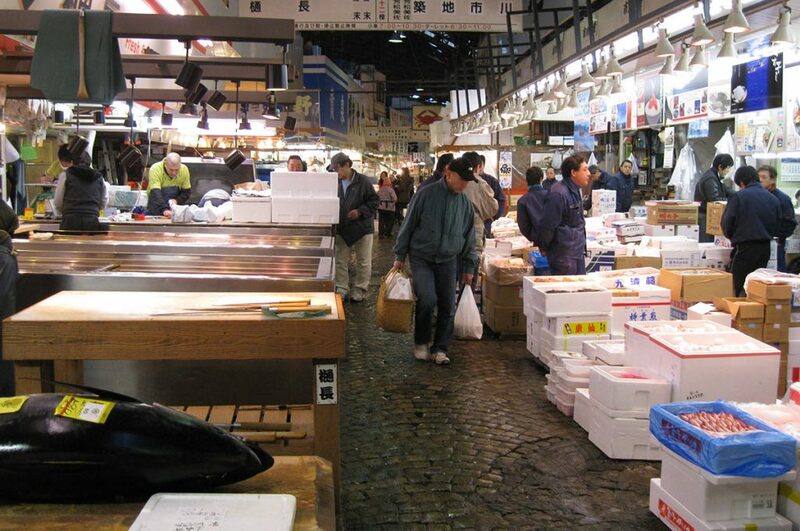 Pay a visit to one of the largest fish markets in the world – Tsukiji Market. You’ll find fruit, vegetables and meat but the market is most famous for its seafood and its famous tuna auction. It’s advisable to visit the market early in the morning as it will be at its liveliest. Buy exotic never-seen-before seafood or try super fresh sashimi at one of the many food stalls and restaurants. It’s also possible to watch the famous tuna auction very early in the morning. 120 visitors (split into 2 groups of 60) are allowed each day to watch the auction. It’s recommended to apply early (starting at 5am) at the Osakada Fukyu Center (fish information center) as it’s on a first-come, first-serve basis. Don’t miss the chance to visit this famous market before it moves to its new location. Roppongi is a district famous for its nightclub scene and development area, Roppongi Hills. The area boast numerous nightclubs, bars, hostess clubs and restaurants and is especially foreigner friendly due to the large number of expats and the many embassies surrounding the area. It also features several outstanding museums such as the National Art Center (Japan’s largest art museum) and the Mori Art Museum. Wander around the modern Roppongi Hills complex featuring many shops, restaurants and offices and visit the 238 meter Mori Tower with an outstanding view of the city from its observation deck on the 52nd floor. Located between the stations Ueno and Okachimachi and running alongside the JR Yamanote train track, you’ll find Ameya Yokocho, or as locals know it, Ameyoko. A former black market, these days it’s a lively market selling anything from fruits, fish, meats to dried goods, spices, clothes, and sportswear. Find a great bargain, eat at one of the many international food stalls, or grab some refreshing fruit on a stick. This market is unlike any that you’ve seen, chaotic and loud but a whole lot of fun! Dedicated to the magical world of Studio Ghibli, this whimsical museum is a must visit. 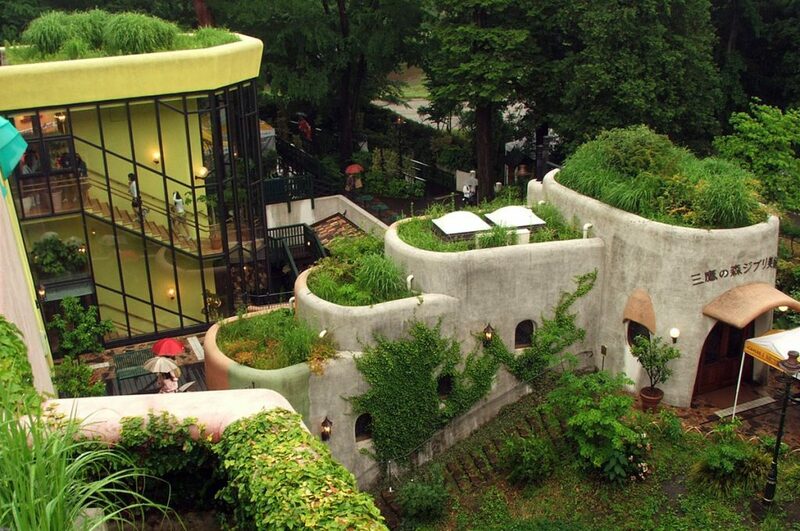 Located outside of Central Tokyo, you’ll find the Ghibli Museum. Housed in a multi-storied mansion that seems straight from a Ghibli animation, with its winding staircases, mysterious doors and curious artifacts, you can learn about the history of Studio Ghibli and its animation. The second floor features temporary exhibits and the rooftop garden is a nice place to relax. Characters and items from the movies are waiting to be discovered all around the museum so be sure to take your time to find them all. Tickets are not sold at the museum and can only be purchased online or at Lawson’s. Tickets go on sale the 10th of each month for the following month and sell out quickly, so make sure you plan well ahead. Located close to lively Harajuku is Yoyogi Park, one of Tokyo’s largest green areas. Yoyogi Park is a place to relax and feel free. Among the greenery, you’ll often see people picnicking in the park, jogging, or jamming away on a guitar. It’s also a place to express yourself as you’ll find street performers, fascinating people dressed up in visual kei or maid costumes or rockabilly dancers showing off their moves. Many events happen in Yoyogi Park such as Brazilian Day or Okinawa Festival, there is always something to do. 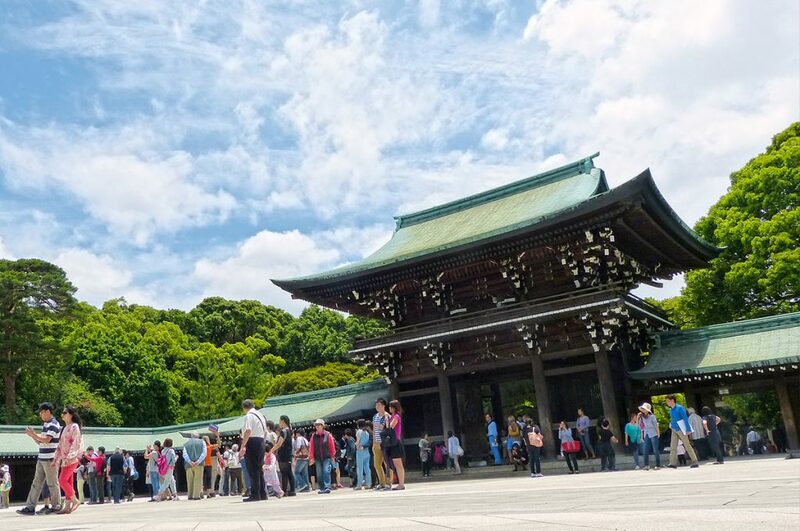 Deep within the park, you’ll also find the most visited shrine in Japan, Meiji Shrine, dedicated to Emperor Meiji and his consort Empress Shoken. Be amazed by the massive torii gate marking the entrance and continue up to the main complex of and appreciate the fine beauty of the shrine. In the colorful neighborhood of Harajuku, you’ll find the center of Japan’s kawaii culture and many other youth subcultures. Trendy shops, cute boutiques and sweet crepe shops line one of the busiest shopping streets in Tokyo, Takeshita Dori. 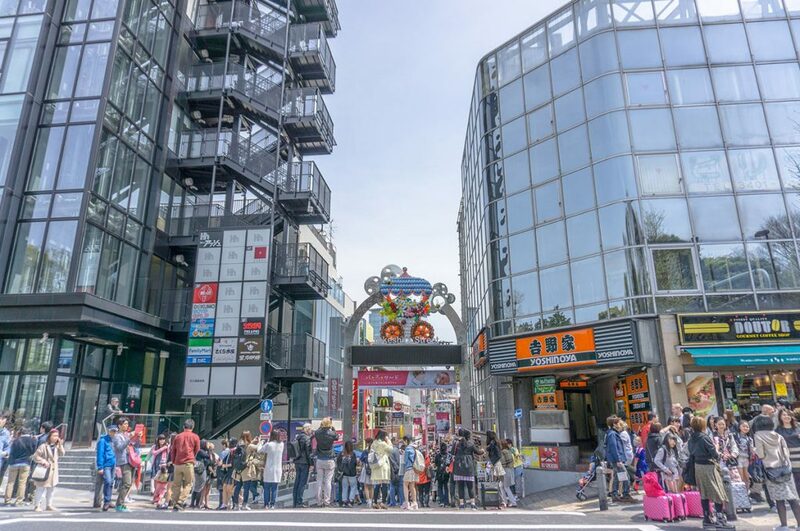 Young crowds gather here shopping for the next cute outfit or show off their extreme style to onlookers, Harajuku is a place to see and be seen. While looking for that perfect outfit or accessory completing your outfit, take a break at one of the many ice cream, cotton candy or crepe shops – everything in Harajuku is sugar sweet. Or head over to Omotesando, an upscale shopping street and splurge away on the likes of Prada of D&G. Have you heard about the fashion style that born in Harajuku? Discover more about the Kawaii Fashion. Unique to Japan only, this award-winning park is unlike any other Disney park. Instead of lands like Main Street USA or Adventureland, DisneySea is divided into seven themed ports of call with names like Mediterranean Harbor, Mermaid Lagoon and Arabian Coast. 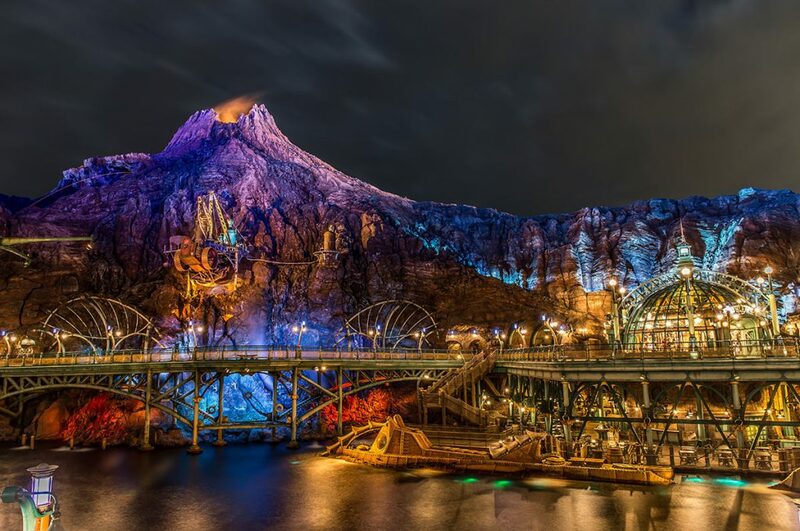 The park surrounds the giant volcano Mount Prometheus which is said to harbor a mysterious secret at its core… DisneySea caters to a more adult crowd than neighboring Disneyland Tokyo as its restaurants do serve alcoholic beverages but nonetheless the park is for all ages. Face your fears going on attractions like Tower of Terror or board a Venetian gondola and enjoy a romantic sunset, DisneySea will make you forget that you were ever in Tokyo! For a true sense of crazy Japan, you should visit Robot Restaurant in Shinjuku. This over the top adrenaline-pumping spectacle featuring giant robots fighting it out, neon-clad female fighters and fire-breathing mecha’s is weird and chaotic but truly fantastic. Enjoy your dinner while live performers put up a show unlike anything you have ever seen. 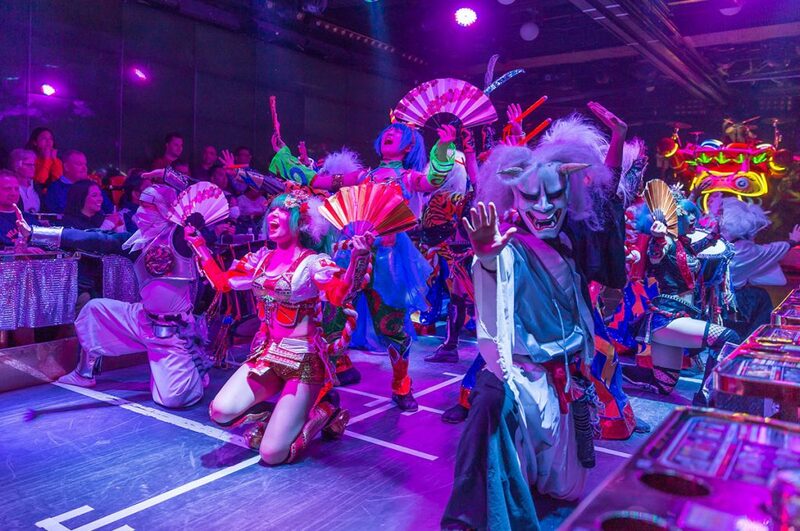 Join the show by waving your glow stick around, Robot Restaurant is a unique experience to be had. 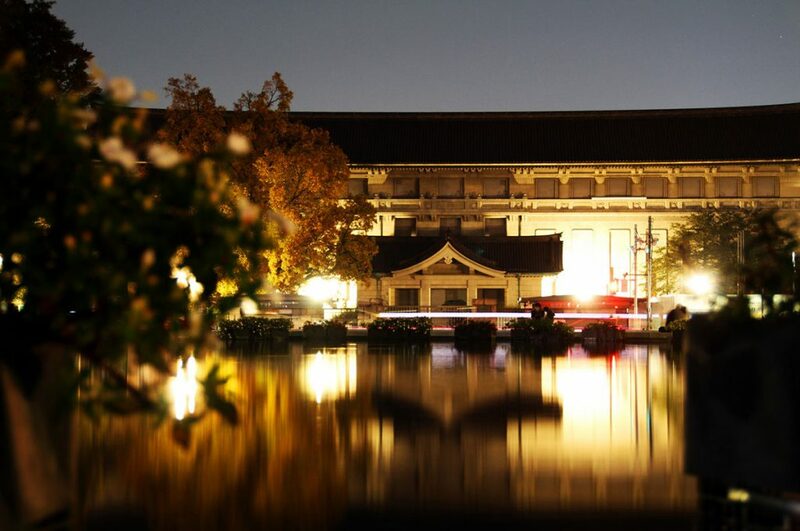 The Tokyo National Museum located in Ueno has the world’s largest Japanese art collection. Divided into three main galleries, in the Honkan (Japanese Gallery) you’ll find ancient pottery, Buddhist statues, Japanese paintings and samurai swords among many treasured artifacts. Head over to the Toyokan (Gallery of Asian Art) to view pieces from around Asia. The Heiseikan (Japanese Archaeological Gallery), houses exhibitions on ancient Japanese cultures and features articles of daily life from Japan prehistoric periods. This world-class museum should be on anyone cultural itinerary! 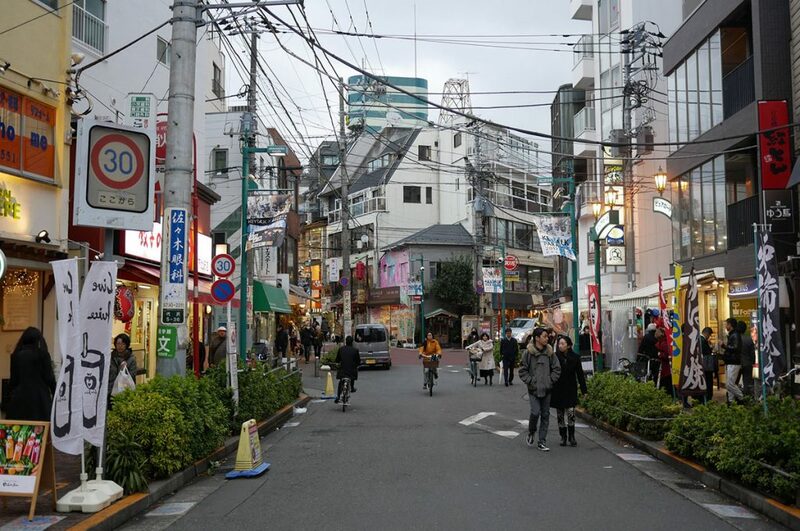 Welcome to Shimokitazawa, a neighborhood with a retro and bohemian atmosphere. Vintage clothing shops, fashion outlets, hip coffee shops and live music venues, just walking along this relaxed neighborhood and exploring cool and hip places is half the fun already. Graffiti decorated murals and charming ramshackle storefronts give this area a unique appeal. Shop for a vintage tee or sip an espresso on a lazy afternoon while listening to a funky beat, things move a bit slower here in relaxed Shimokitazawa. Do you want to know more? Take a look at our Shimokitazawa article. Modeled after the Eiffel Tower, this 333-meter high tower is a communications and observation tower and the 2nd tallest structure in Japan. The tower broadcasts signals for TV stations like NHK, TBW and Fuji TV. Painted red and white to comply with safety standards, the tower houses 2 observation decks and at the foot you can find souvenir shops, restaurants and a One Piece themed amusement park. Visitors can read the Main Deck at 150 meters either via elevator or the 600-step staircase. The Top Deck at 250 meters can be reached with connecting elevators from the Main Deck. 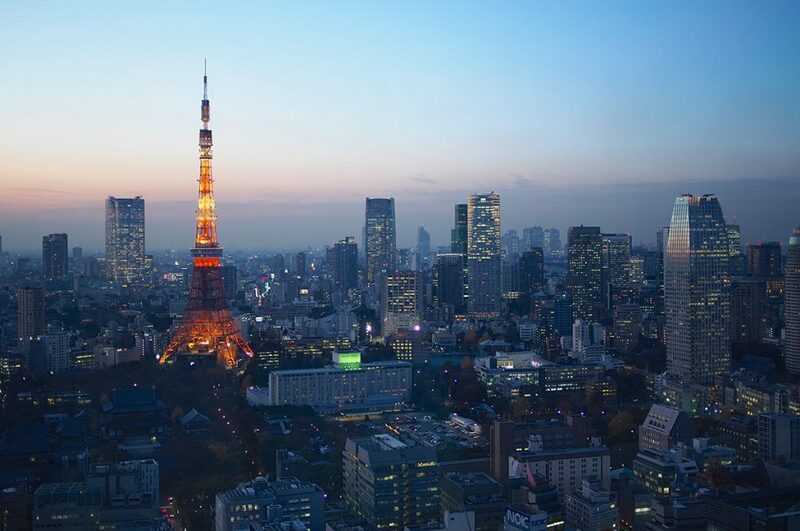 Did you know that the Tokyo Tower is actually 13 meters taller than the Eiffel Tower? 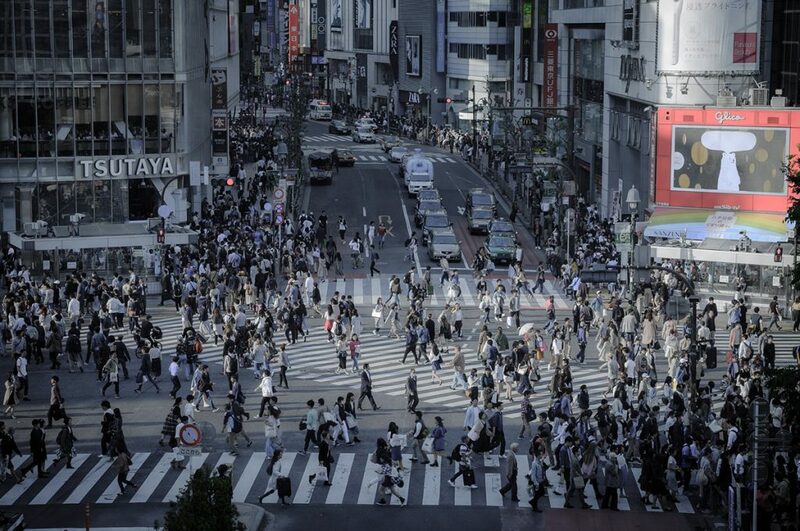 Shinjuku is like a city unto itself with many districts each with its own character. The hub would be Shinjuku Station, the world’s busiest train station and an essential transit hub to other area’s in Japan. 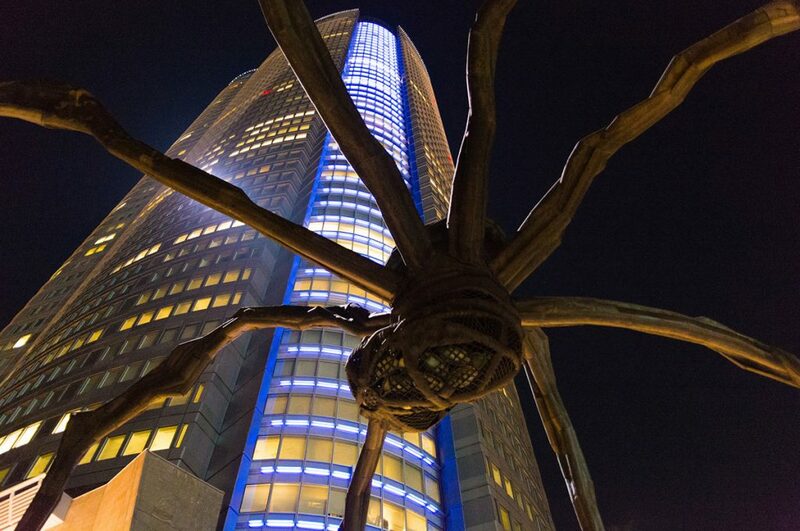 Visit Skyscraper District and marvel at the glass-and-steel skyscrapers gleaming proudly in the sun or visit Kabukicho with its red light district, many bars, nightclubs, restaurants and love hotels. Head over to Shin-Okubo Koreatown and get immersed in Korean K-Pop while feasting at one of the many Korean barbecue joints. The Tokyo Metropolitan Government Office lets you go up to the 45th floor observation deck for free allowing you to enjoy the beautiful view of Shinjuku from above. Shinjuku is also home to many large department stores such as Isetan and Yamada Denki. And if you need some much-needed rest, walk over to Shinjuku Gyoen for a relaxing stroll in one of Tokyo’s largest parks. Shinjuku is also a nice place for shopping, check out our selection of the best shops in Shinjuku. Real life Mario Kart in the streets of Tokyo? Sounds crazy, yet is all possible! 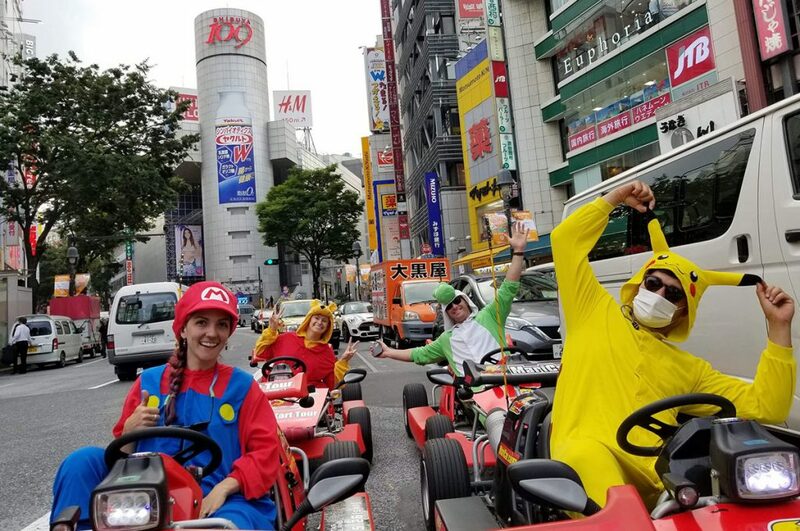 Dress up as Mario, Luigi, Princess Peach or Yoshi, get in a go-kart and drive around Tokyo. Mario Kart themed go-kart tours are available and signing up is simple. In order to comply to safety measures however, go-karters are required to posses either a Japanese drivers license, an international drivers license or a SOFA license (US armed forces). After picking an outfit, you get into a kart and follow the course chosen. As far as ‘racing’ goes, standards traffic regulations still apply and you’re required to drive together in a line as you go through neighborhoods like Shibuya and Akihabara. If you’ve ever wanted to experience real-life Mario Kart, now is your chance! First built in Osaka in 1979 by Kisho Kurakawa, a capsule hotel is a tiny pod-like room stacked on top of each other. Usually barely spacious enough to sit up straight, these little hotel rooms are the perfect solution if you’ve missed the last train or looking for cheap accommodation to spend the night. 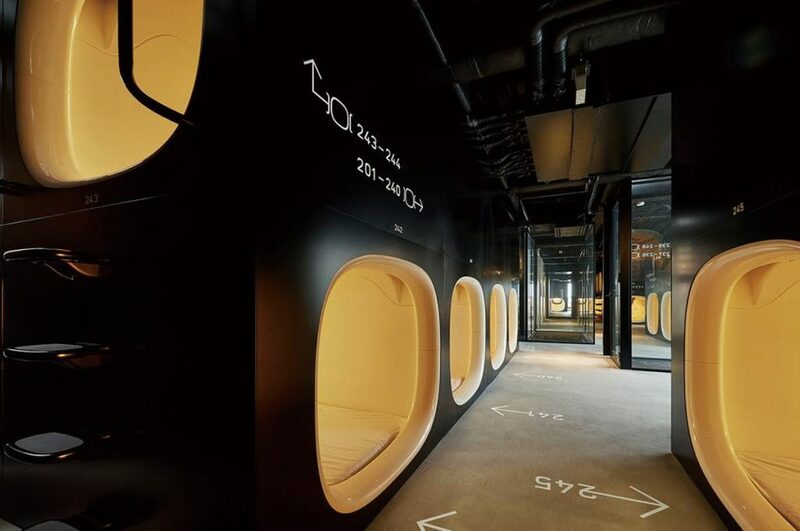 Though size and quality differ, most capsule hotels are equipped with basic amenities like a light, air conditioner, alarm clock and power outlet. Many capsule hotels also offer a TV and radio in their pods. Services like lockers and shower/bathing options (often communal) are also widely available. Staying at a capsule hotel is definitely a unique experience that we would recommend you to try. Soft Jazzy notes filling the room, golden whiskey in your hand and a breathtaking view overlooking the city from the 52nd floor, it’s no wonder Sofia Coppola chose this location as one of the settings in her movie, Lost in Translation. 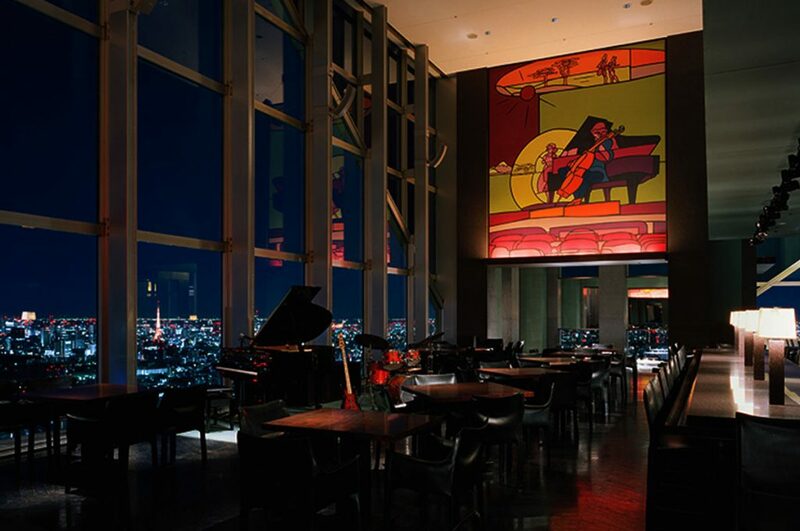 Located in the Park Hyatt Hotel in Shinjuku, this world class bar might as well be on 5th Avenue, New York. Evoking that classic New York feeling, everything oozes style and class. From the high ceilings to the live jazz band and the greatest selection of whiskeys, champagne and sake, for a moment time stands still. And then there is the view. Inarguably the most spectacular view in all of Tokyo. The New York Bar is a very special place indeed. You’ll need a lifetime to explore all that Tokyo has to offer and still not be done. There is simply too much to see and do in this megacity. Hopefully with our top 23 Best Things to do in Tokyo, you’ll get a head start of all the great things this city has to offer. Enjoy Tokyo and be sure to let us know your experiences in the comment section below! Have you been to a nice place in Tokyo that isn’t on the list? 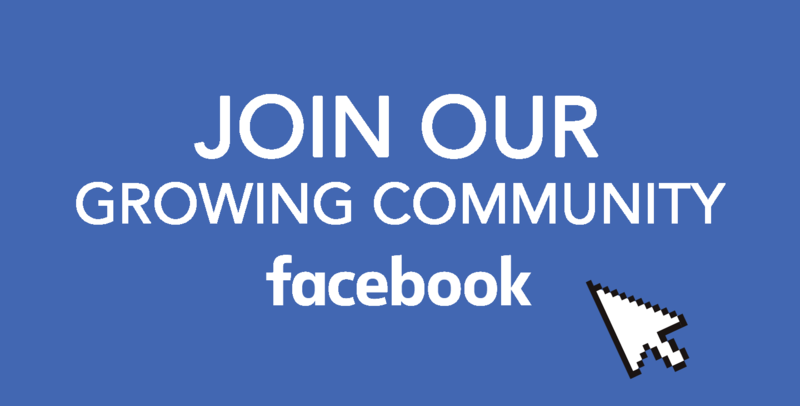 Join our Facebook group and share it with us! We are also on Facebook, Instagram, and Pinterest, follow us!